Whirlpool Corporation is the world’s leading manufacturer and marketer of innovative home appliances with annual sales near to $20 billion, over 68,000 employees, and approximately 70 manufacturing and technology research centers around the world. The company markets major brand names to consumers in nearly every country, its principal products being laundry appliances, home refrigeration, home cooking appliances, home dishwashers and mixers, and other household appliances. The global headquarters is located in Benton Harbor, Michigan with regional headquarters located in Europe, Asia and Latin America. The Canadian operation, Whirlpool Canada LP, is one of the country’s leading marketer and supplier of home appliances, delivering over $1 billion in revenue. The company has near to 230 employees and operates nationwide with the head office located in Mississauga, Ontario. Whirlpool Canada’s impressive portfolio of brands includes Whirlpool, Maytag, KitchenAid, Jenn-Air, and Amana. Each offers a wealth of innovative products that meets the needs of all consumers. At Whirlpool, our recipe for winning includes smart innovation, strategic growth, and industry leadership. 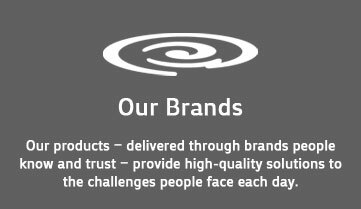 We succeed because we always keep sight of our purpose and our passion: Improving lives every day through world-class products and services. 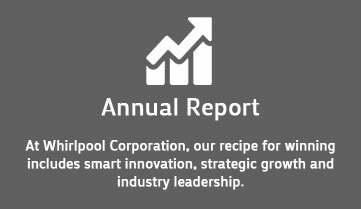 Discover more about Whirlpool Corporation by viewing our annual report. Whirlpool Canada Inc. (formerly Inglis Limited) has a proud heritage in Canada dating back to 1859. Founded by John Inglis in Guelph, Ontario, the company first manufactured machines for grist and flour mills. In 1881, operating under the name John Inglis and Sons, the company moved to facilities on Strachan Avenue in Toronto, Ontario. In 1898, following the death of John Inglis, his son William assumed leadership of the business. In 1935 the new Toronto Island Ferry was named after William Inglis in appreciation of his significant contribution to the city’s industrial and cultural progress. Two years later, Major J.E. Hahn purchased the company, obtained the right to use the name John Inglis Co. Limited and made significant changes to the company’s operations. Under Major Hahn’s leadership, the company assisted in the World War II effort by manufacturing guns for the Canadian and British governments. More than 17,800 people were employed at this time creating the need for expansion at the Strachan Avenue plant. When the war ended in 1946, the company began to manufacture consumer products such as fishing tackle, house trailers, oil burner pumps and domestic heaters and stoves. In the same year, John Inglis Co. Limited negotiated with Nineteen Hundred Corporation (later Whirlpool Corporation) to manufacture home laundry products. 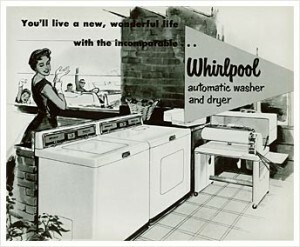 The wringer washer was introduced in 1946, and in 1950, production of the automatic washer was added. By 1966, Inglis had become the leading producer of domestic laundry appliances in Canada. The company’s strength in other consumer product categories was also evident. In 1972, Inglis produced its one-millionth automatic washer and began manufacturing and selling appliances under the Whirlpool brand name. In 1973, the company began operating under Inglis Limited. During the late 1970s, Inglis Limited continued to grow by building a new warehouse and sales and service facility in Laval, Quebec; expanding its automatic washer manufacturing facility in Toronto. In 1981, the company moved its head office from Toronto to Mississauga, Ontario. One year later it acquired certain assets of Canadian Admiral Corporation, Ltd, and began manufacturing and selling under the brand name Admiral. Whirlpool Corporation increased its ownership in Inglis Limited to 71.6 percent in 1987. Inglis introduced several new products during the late ’80s. In 1985, the microwave oven was launched; in 1986 production of dishwashers began under the newly acquired brand name KitchenAid; and in 1987 a line of energy efficient refrigerators was introduced. The KitchenAid line of small appliances was expanded through the late ’80s and 1990s to include the legendary stand mixer, blender, food processor, hand mixer, toaster and professional quality cookware. To date, the 2000’s era has been an exciting one for Whirlpool Canada and its employees. The company has placed a high importance on producing and promoting the use of ENERGY STAR® qualified appliances to Canadians, launching the industry’s first full line of ENERGY STAR® qualified home appliances under the Whirlpool brand in 2001. The company adopted a new corporate name, officially changing from Inglis Ltd. to Whirlpool Canada in 2002. Whirlpool Corporation then acquired Maytag Corporation in 2006, making it the largest home appliance manufacturer in the world. Whirlpool’s focus has continued to be on giving consumers what they need and want in order to build strong demand and unmatched loyalty for its brands, which today in Canada includes Whirlpool, Maytag, KitchenAid, Jenn-Air, and Amana. The 2000’s have also seen Whirlpool Canada continue to be an advocate of corporate social responsibility: building a partnership with Habitat for Humanity, providing consistent financial support to the United Way, and establishing a successful partnership with the Canadian Breast Cancer Foundation. Heading into it’s 100th year in business, Whirlpool Corporation announced a $120 million investment in building a new LEED-certified manufacturing facility in Cleveland, Tennessee; and opened the World of Whirlpool, a new product experience centre in Chicago, Illinois. On November 11, 2011, the company proudly celebrated 100 years of innovation. 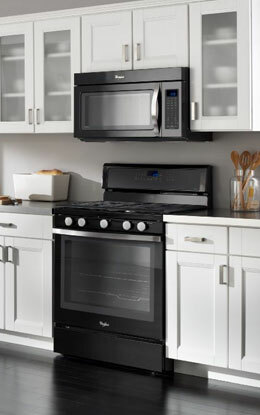 In the last decade, Whirlpool has introduced such innovative products as the Whirlpool® Duet™ front-loading washer, Maytag® JetClean™ II dishwasher with SteamClean option, KitchenAid® Architect II™ Series induction cooktops, and Jenn-Air® Oil Bronzed™ Appliances. More recently, Whirlpool has brought innovation such as AquaLift™ self-clean oven technology, and Even-Heat™ true convection technology to the home appliances industry.